Join us for a WRFG Benefit Concert featuring Francine Reed and Matt Wauchope, Diane Durrett Trio, Timo Arthur Trio, Steve “The Blues Dude” and Albert White! After marrying young, the everyday struggles of life kept Reed from pursuing her dream of singing full-time until her children were older. Fortunately, she was able to move to Phoenix, Arizona where she begain to sing in local jazz clubs and at various functions. She became known for her powerful voice and commanding stage presence, and delivered an eclectic blend of jazz, blues, and R&B. She was often the opening act for such headliners as Miles Davis, Etta James, Smokey Robinson, and the Crusaders. Reed continued to release solo albums and went on to collaborate with other great performers. She performed on Willie Nelson's acclaimed album Milk Cow Blues (2000), lending her soulful voice to the title track as well as to the song "Funny How Time Slips Away." She has also contributed vocals to the recordings of Delbert McClinton and Roy Orbison. 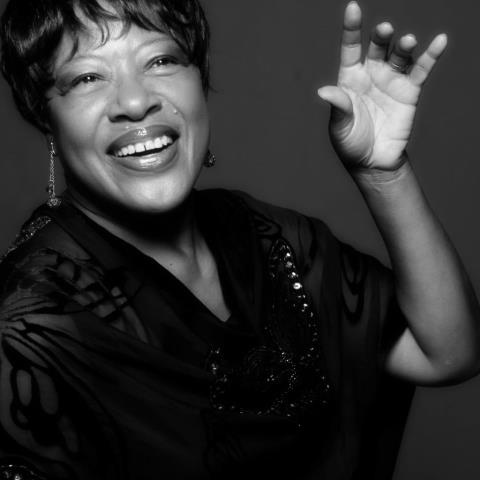 Francine Reed has become one of Atlanta’s most treasured artists and continues to expand her fan base at venues around the country. For several months out of the year, she performs in Seattle or San Francisco, appearing as the “Chanteuse” for Teatro ZinZanni. She describes the avant-garde production as "Cirque du Soleil meets dinner-in-the-round, on acid." Reed continually blesses audiences with her amazing vocals and vibrant personality; she is truly a musical experience that should not be missed. Matt Wauchope’s current project is The Mar-Tans, which he founded with drummer Terrence Prather and Melvin Zachery on bass. They were the long time rhythm section of Sean Costello. They toured and recorded with Sean, traveling through 48 states, Western Europe, and Scandinavia. Playing in Sean's band allowed them the opportunity to play with blues legends such as Jody Williams, Hubert Sumlin, Pinetop Perkins, James Cotton, and Elvis Costello. They played on three of Sean's CD's in addition to numerous local sessions including the Grammy-Award winning gospel act, the Blind Boy's of Alabama. The horn section is made up of accomplished musicians who are band leaders in their own right. On trombone and vocals is Jonathon Lloyd who also fronts the reggae band Lloyd's Rock Steady Review. Saxophonist/singer Will Scruggs is also the leader of organ group CC Booker III. The band plays New Orleans Funk and R&B along the lines of Professor Longhair and the Funky Meters. They also mix in Memphis Soul, originals, jazz, blues, and latin. The band's first CD, Repurpose, was released in April of 2012. The Mar-Tans are excited to welcome Count M'Butu as their newest, featured member. The Grammy-award winning percussionist for the legendary Col. Bruce Hampton and the Aquarium Rescue Unit was also the mysterious sixth member of the Derek Trucks Band. He has shared the stage with the Allman Brothers, Santana, Arturo Sandoval, Nancy Wilson, Frank Zappa, Widespread Panic, and Phish, among many, many others. “She’s good. She’s damn good.” Sting’s summation of his duet with singer songwriter Diane Durrett speaks for anyone who’s ever heard her perform. 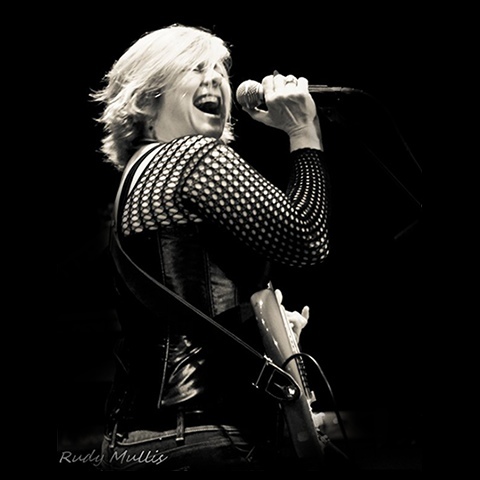 A Memphis reporter once wrote that Diane’s performance was so powerful that “If you don’t go see her she may just come see you!” With a blend of raw soulful vocals, sultry tones and strong original songs Durrett has sung with Sting, The Indigo Girls, Gregg Allman, Chuck Leavell (Rolling Stones) and Peter Stroud (Sheryl Crow). Durrett has opened shows for Tina Turner, Faith Hill, Little Feat, Delbert McClinton, Jimmy Hall and Derek Trucks. As well lending her vocals to recording sessions for Grammy award winning producer Brendan O’Brien. Durrett has long reflected the musical passions that inspired her while growing up in Atlanta, GA. From her energy-driven breakthrough debut 50,000 Volts of Soul (1993) to her superbly executed Rhythm of Life (1998) to her acoustically-driven CHILL (2004), to the LIVE CD, Georgia On the Groove (2007), to the groovy Blame It On My DNA (2009) produced by Ike Stubblefield to her latest holiday CD Georgia Christmas (2011). Diane is not only an artist but a producer as well. In 2010 she started her artist development company Blooming Tunes Music. Since then she has released two CDs on up and coming artist Julie Thames. Diane's song catalogue includes co-writes with Jerry Ragovoy (Piece of My Heart), Emily Saliers (Gallileo), Kristen Hall (Baby Girl), Bonnie Bramlett (Superstar), and William Bell (Born Under A Bad Sign). In true writer's spirit, Diane also, authored a book called "Driving Music City." Durrett is a down-to-earth-diva. She sings from her soul, writes with heart and humor. Diane brings her southern wit and charm to every event. She's pure entertainment! 2013 Atlanta Blues Challenge winner Timo Arthur has been making great strides in his short time in Atlanta. He also has finished recording his CD Fire's Burnin' with bassist Tamara Nicolai and drummer Pete Maier. Since moving to Atlanta from Boston in late 2012, Timo burst on to the Atlanta scene hitting local jams and making lots of new friends and connections. As previously mentioned, Timo won the 2013 Atlanta Blues Challenge in the solo/duo category with bassist Tamara Nicolai as the Timo Arthur Duo. This victory won them a spot to compete in the International Blues Challenge in Memphis, TN, Jan 21-25 in 2014. A veteran guitarist, songwriter, and vocalist, Timo has thirty years of performing experience behind him. 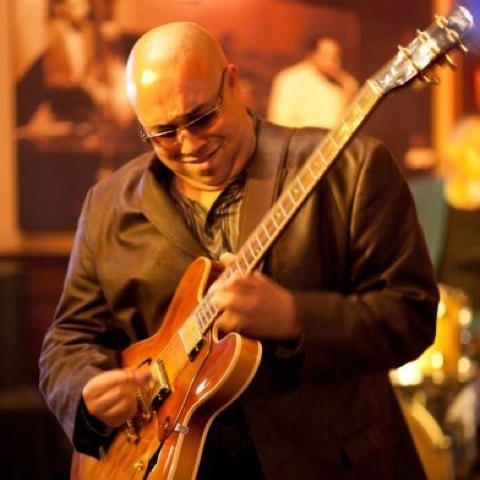 He spent the summers of 2011 and 2012 performing at the elegant House of Blues & Jazz in Shanghai, China, as lead guitarist and vocalist for Tony Hall's Blues Mission, along with performing freelance shows with various pop/R&B artists there as well. An alumnus of Berklee College of Music in Boston, MA, he also spent fifteen years performing on the Boston/New England blues scene with the region's top local and regional acts, as well as fronting his own shows. He has since performed professionally coast to coast in the US, as well as the Caribbean in addition to China. Hailing from a musical family, Timothy "Timo" Arthur was born June 10, 1974 in New Haven, CT, and grew up in the nearby town of Milford, CT. At the age of eight, he told his father he wanted to be a musician. His parents got him a guitar the following Christmas. By age ten, he began writing songs and performing as a guitarist and singer. Timo spent his teens giving solo performances of original music at every opportunity. He also played with a handful of bands, playing guitar and electric bass, as well as singing and songwriting. At age nineteen, he made his first studio recording consisting of four pop songs he had written. A year later, he moved to his father's native Barbados where within four days of his arrival, he was chosen as lead guitarist for one of the island's top-billed soca bands. Though never having played in this style before, Timo adapted quickly, proving his immense talent, versatility, and natural musicianship. After several months, he left Barbados to attend Berklee College of Music in Boston, MA. After his arrival in Boston in 1996, Timo became a regular on the New England blues scene. Timo quickly gained notoriety as an impressive guitarist and vocalist. Many prominent Boston area blues, soul, R&B, and roots/rock artists have called on Timo to perform with them. In 2010, he was part of the winning band for the MA Blues Challenge as the guitarist for Diane Blue & The Beantown Boys. This win got them a spot to compete in Memphis for the International Blues Challenge in February of 2011. He also recently returned from a three-month stint in Shanghai, China where he was contracted to play with Tony Hall's Blues Mission as a guitarist and co-lead singer. Nowadays, Timo has returned to performing as a singer/songwriter in addition to lending his guitar and vocal talents to top local blues/R&B acts. He continues to gain friends and fans with his impressive musicianship, as well as his warm and witty persona. Albert White is no stranger to rhythm and blues. He began playing guitar at an early age. His uncle, the legendary Piano Red, noticed that Albert was actually playing self-made chords on a ukulele at the age of nine. Red sent Albert to take lessons from his guitarist, Wesley Jackson. Albert and his friend Marion Smith were soon camped out in front of juke joints, playing and singing for tips. In early 1962, Albert became the bandleader for Piano Red’s Dr. Feelgood and the Interns. Red had scored a hit with his song “Dr. Feelgood” and dressed his band in intern jackets and nurses uniforms. One of the “nurses” was Beverly “Guitar” Watkins who became a lifelong friend to Albert. When Red disbanded, Albert joined The Tams from the late ‘60s to the early ‘70s, and by the mid ‘70s, joined Hank Ballard and the Midnighters. In recent decades, Albert’s own sound emerged, gigging with musicians in Atlanta, Georgia. Albert still devotes himself to music, performing with his old band member Beverly “Guitar” Watkins and recording Music Maker CDs, including his solo album, The Soul of the Blues. Since 1973, WRFG has been your station for progressive information. We aired special programming around the execution of Troy Davis and the ten-year anniversary of the war in Afghanistan-We were at the forefront of the FCC de-regulation hearings and hosted a town hall forum here in Atlanta. And everyday you can tune in to 89.3 FM for news and knowledgeable perspectives on health and nutrition, the environment, peace and justice, gender issues, and the economy and the workplace. WRFG is also your station for a wonderfully diverse selection of hand-picked music. The best of Blues, Jazz, African, R&B, Americana, Caribbean, Celtic, Zydeco, Indian, Hip Hop, Latin - all chosen by program hosts who understand the musical tastes and needs of their listeners. No canned music here! Just as important, WRFG offers ideas on what each of us can do to create positive changes in our neighborhood, in our country, and in the world. That's because WRFG doesn't operate in a vacuum. We're an integral part of the community. In fact, just about all of our financial support comes from fellow community members like you - not from government or corporations. So unlike commercial radio stations that make their listeners endure hour after hour after hour of loud, obnoxious ads, WRFG offers pure listening pleasure. That's one reason why 40 years after we first began broadcasting, WRFG is still Atlanta's premier independent radio station.